Unless you’ve been living in a cave over the last few months, you’ve probably heard of the Ice Bucket Challenge where someone challenges individuals to contribute money to find a cure for ALS (Amyotrophic lateral sclerosis), also known as Lou Gehrig’s Disease, or to have ice water dumped on them. 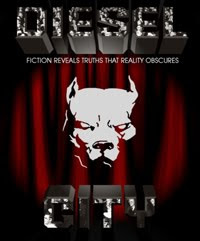 There is a Diesel Era connection to this since Lou Gehrig, one of the great baseball players in history, retired from baseball in 1941 due to this disease, which was later named after him. 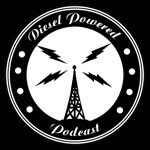 I was recently challenged Big Daddy Cool Johnny Dellarocca, my friend and co-host of the Diesel Powered Podcast, to take the challenge. There are two ways you can help to find a cure without getting ice water poured on you. One way is to give the ALS Association. Another is to write your Congressional representative and demand that funding be restored to the National Institute of Health. Oh and concerning the challenge by Big Daddy Cool. Well, you just need to watch the video for yourself.